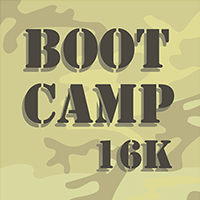 The Boot Camp Run is more fun than any soldier should have running ten miles. 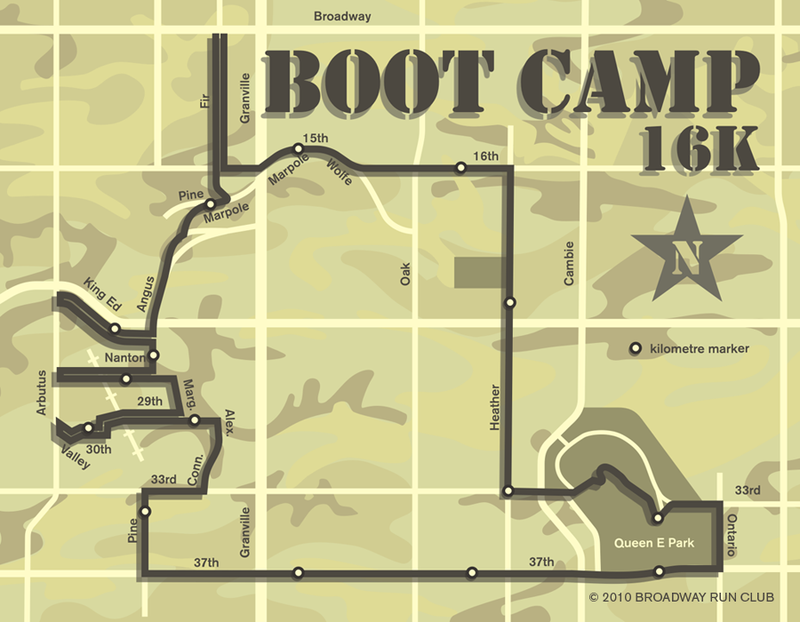 The Boot Camp Run is more gosh darn fun than any soldier should have running ten miles. Starting and finishing at Broadway and Fir, the Boot Camp Run pays tribute to some of the finest hills on the east side of the Arbutus corridor before marching further east to honour Her Majesty by climbing to the top of Queen Elizabeth Park. Click here for the route on RunThere. The Boot Camp Run is based on the BRC classic Gully Run.